Are crunchy, potato snacks your biggest weakness? They’re ours too, which is why we’ve partnered up with Pringles! This American food brand sells stackable wheat-based, potato chips and has been selling these delicious snacks since 1967. That moment when you crunch the first one, you know you need to have more. Whether it’s a cheeky pack to yourself at uni or sharing them with everyone at work, Pringles certainly puts everyone in a good mood! 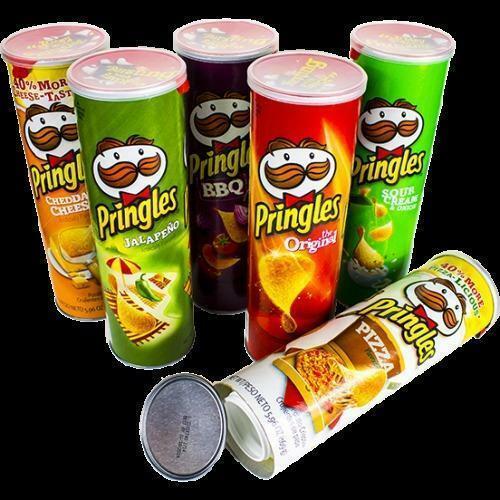 Packed with intense taste, Pringles come in an abundance of flavours such as Cheese and Onion, Salt & Vinegar, Paprika, Prawn Cocktail and Original. To get money off your next Pringles buy, check this space for all the latest student discount codes and deals from Pringles. Just register for FREE to gain instant access to the best Pringles youth vouchers and offers. Exclusively for students, apprentices and those aged 16-26.